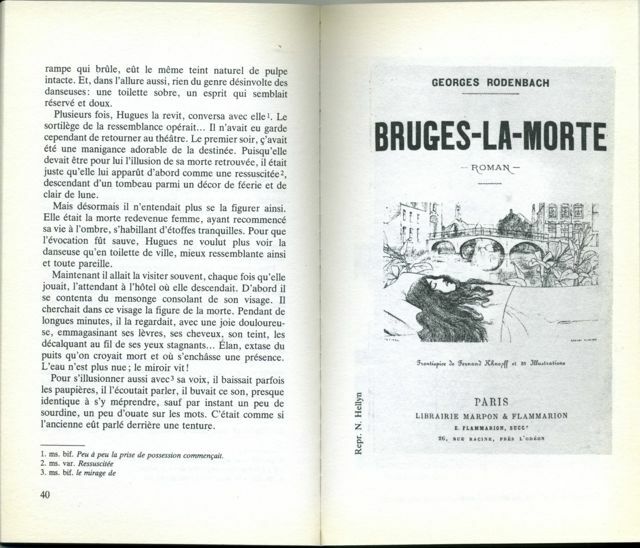 These three editions of Georges Rodenbach’s Bruges-la-Morte are in fact three very different books. 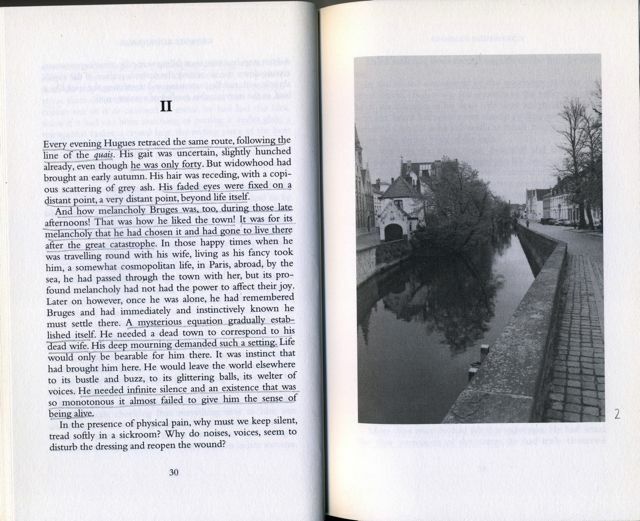 The first edition, pictured left and dating from 1986, was published by Babel. The second edition, an English translation by Mike Mitchell, was published by Dedalus in 2005. 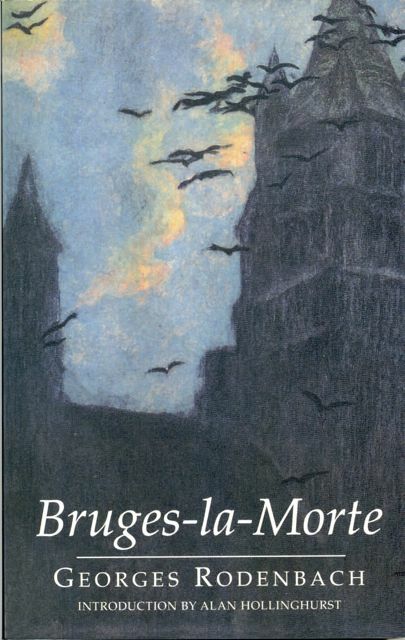 And the third edition, pictured right, was published in 1998 by Flammarion. 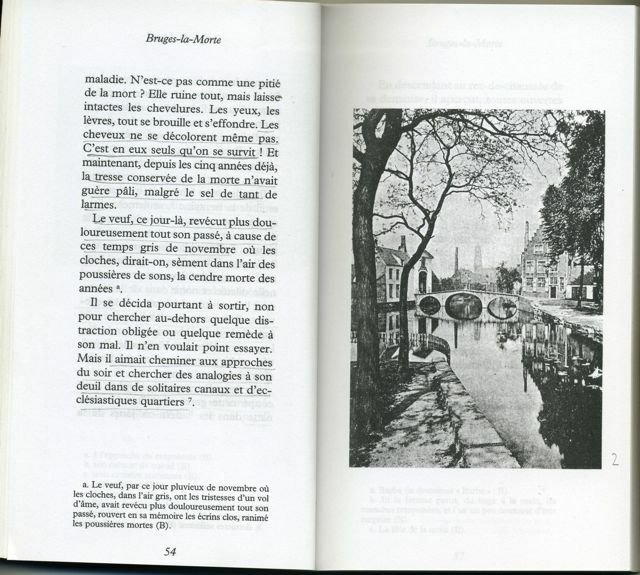 The Babel version, edited by Christian Berg, does not reproduce a single one of the 35 photographs reproduced in the original book version: his is a purely textual edition. Strangely enough, however, it does include eight pages of documents that are inserted, for some reason, in the middle of chapter four. 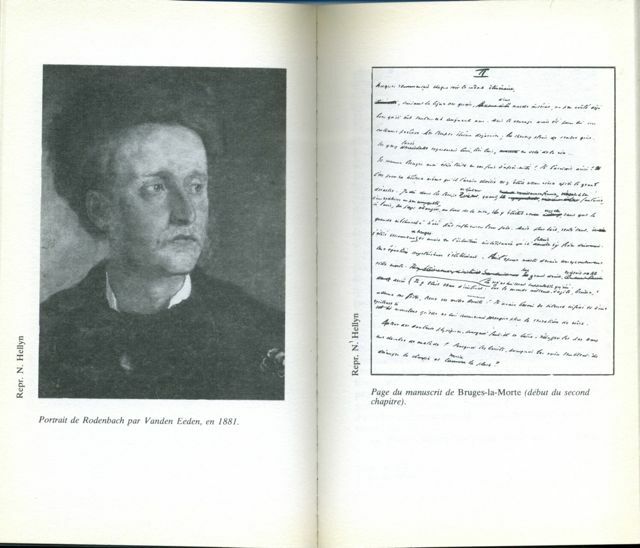 Among these documents one finds, for instance, the pieces pictured below: a frontispiece by Fernand Khnopff for an edition by Flammarion, a portrait of the author, and a copy of a manuscript page. 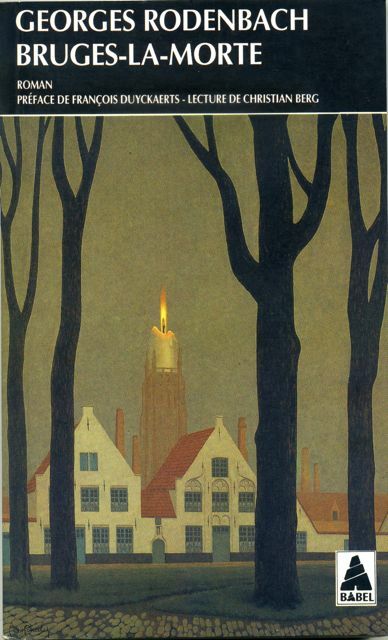 Strangely enough, the Babel edition does include the foreword by Rodenbach in which he notes that his intention is to evoke “the Town as an essential character, associated with states of mind, counselling, dissuading, inducing the hero to act”, and that he thus wanted his readers to feel the town’s influence, to “experience for themselves the shadow cast over the text by the tall towers” (I’m quoting from the Dedalus translation). Needless to say, readers will have to turn to another edition if they want to see the photographs chosen by Rodenbach. Mike Mitchell’s English translation, published by Dedalus (2005, rptd. 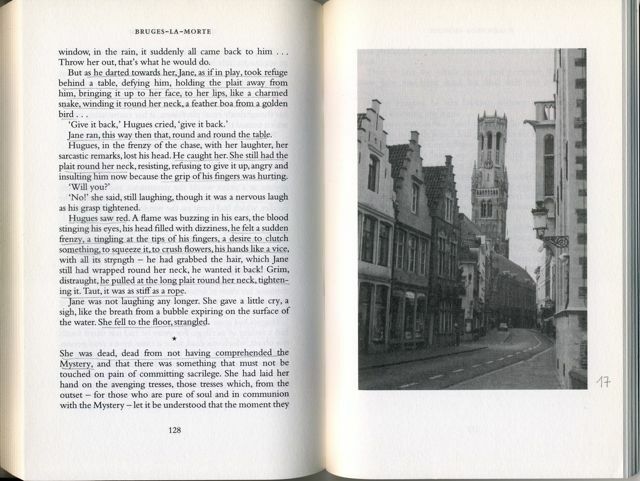 2007), includes none of the original photographs, but it does include a selection of recent photographs taken by Will Stone (who translated “The Death Throes of Towns”, an essay on Bruges by Rodenbach dating from 1888 and which is also included in the book): 17 photographs are to be found in the text of Bruges-la-Morte, and a further six in the text of “The Death Throes of Towns”. This decision, to include these contemporary photographs, was taken, Stone says, because it was thought this might be “more interesting” and that this might “stimulate debate”. Stone also notes that “despite the passing of time, it was clear that a number of those views to be found in the original images were being reproduced or at least ones which curiously evoked them”. Although I’m opposed, on principle, to the idea of changing the pictures – they are as much a part of the book as the punctuation, say – it is in fact an interesting experiment – although one which yields some anachronisms, given that some photographs feature cars – and it does stimulate debate. Paradoxically, however, it will only do so if readers are familiar with or have access to the original photographs: how else could readers compare the former with the latter? 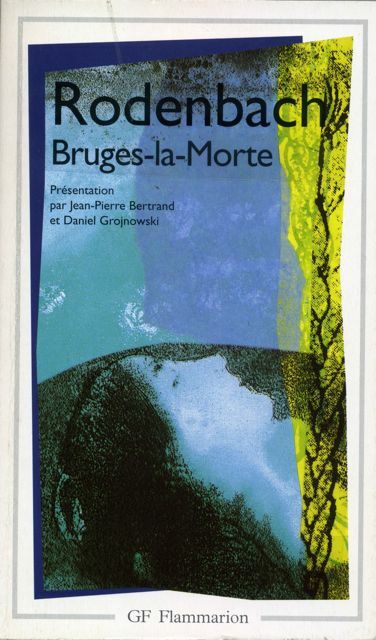 For that, readers must turn to the 1998 Flammarion version, edited by Jean-Pierre Bertrand and Daniel Grojnowski. Not only did they restore the original photographs to their proper place, but they also provide an informative introduction and much that is interesting in a “documentary file” at the end of the book. 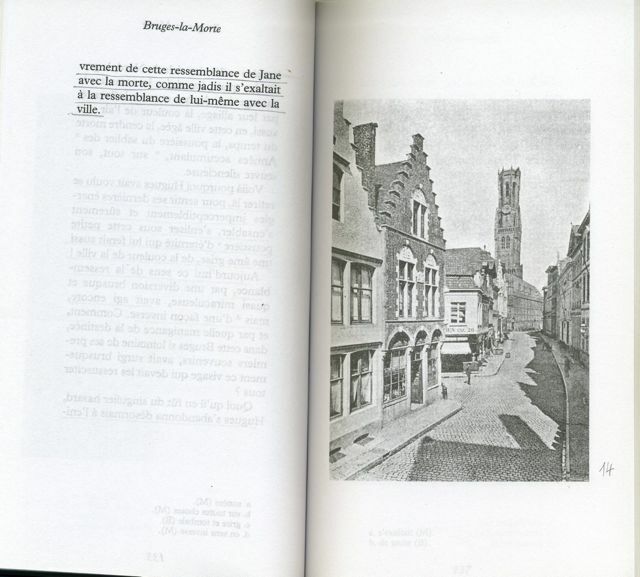 This entry was posted in Georges Rodenbach, Picture novels and tagged Bruges-la-Morte, fiction, Georges Rodenbach, photography, picture novels. Bookmark the permalink.